As the number of passengers on these 11 largest and busiest airports in India attests, the airline industry is currently thriving in India. India is not isolated case. The air traffic around the world has been on the rise and 9.6% global increase in January 2017 is the best result in the last 5 years. The last time airline industry recorded such growth was in 2011. In fact, all markets recorded growth, expect Brazil, with India, China, and Russia well within double digits. In Asia, India, China, and Japan now comprise 45% of the domestic travel market. India alone is responsible for 1.3% of world’s domestic air traffic, trailing behind China with 8.7% and the United States at 14.9%. The bright future for India’s airline industry is reflected by the number of aircraft on order. Currently, Indian airlines have some 880 planes on order, many of them among the fastest commercial passenger planes in the world today. Only about 30% of these are planned as replacements for the older models. At this rate, India will replace the UK as the third largest airline market by 2026, confirming the trend of rising share of the developed world in air traffic, which is now at 40%, a sharp increase from 24% just ten years ago. In 2029, China is expected to become a world leader in air traffic, overtaking the United States and another Asian country, Indonesia, will enter top 10, ejecting Italy for the list. According to the India’s Directorate General of Civil Aviation (DGCA), the record growth in the last six years has been fueled by both a strong economy and widespread appearance of budget airlines. Although they managed to bite of a market share from conventional airlines, like Air India and Jet Airways, these low-cost carriers have also created a large demand for cheap air tickets. IndiGo is on the forefront, with 40% of domestic air traffic, which is more than Air India and Jet Airways put together. The international flights are a completely different affair, though and traditional airlines are still dominating that segment. This enormous increase in air traffic had to be followed by the infrastructure as well and India’s busiest airports had to invest significantly in order to keep up with the demand. The new air-traffic control tower at Indira Gandhi International Airport cost some $50 million and will require about 600 air traffic controllers and technicians to be fully operational, but currently only has 360. This is one of the snags India’s airline industry hit recently, the lack of trained personnel for ground operations. In fact, one-third of India’s air traffic controllers’ positions are vacant, due to low salaries. Hopefully, these 11 largest and busiest airports will manage to fill those vacancies and ensure safe and smooth operation on the Indian skies. In order to rank them, we used the latest Airports Authority of India’s data, illustrating the April-December 2016 period. 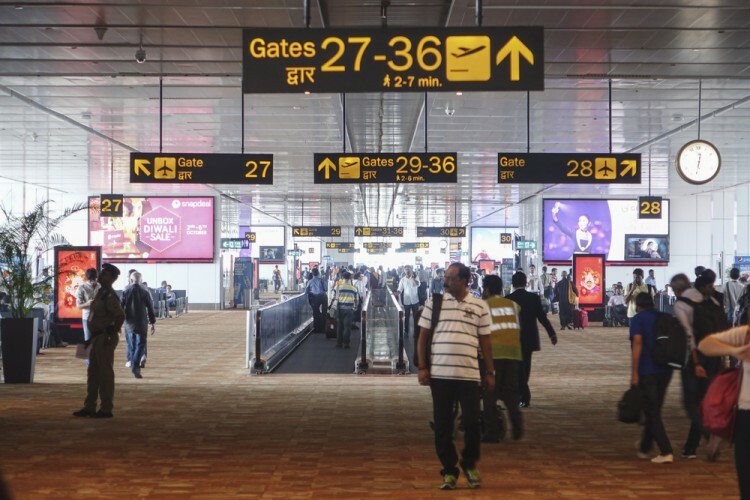 All of them have recorded an increase in passenger numbers compared to the same period in 2015 and at this rate, they will soon become a permanent fixture on the list of 20 Largest Airports in the World. Here are they, the largest and busiest airports in India.